But now I can cut out fabric. Oh yeah! 😀 who needs money when you can cut bears out of felt!… don’t answer that. They had an ok range at my local art store, which is over priced and over packed. But given that these three dies were the most useful ones I could find wasn’t good. The guy said a lot of them were discontinued ones. Considering the dust on them, I wasnt surprised. I think I’ll buy them online from now on. I didnt make much, I just cut out bits today. I might have to clean up my craft desk at some point and get into crafting. Happee. 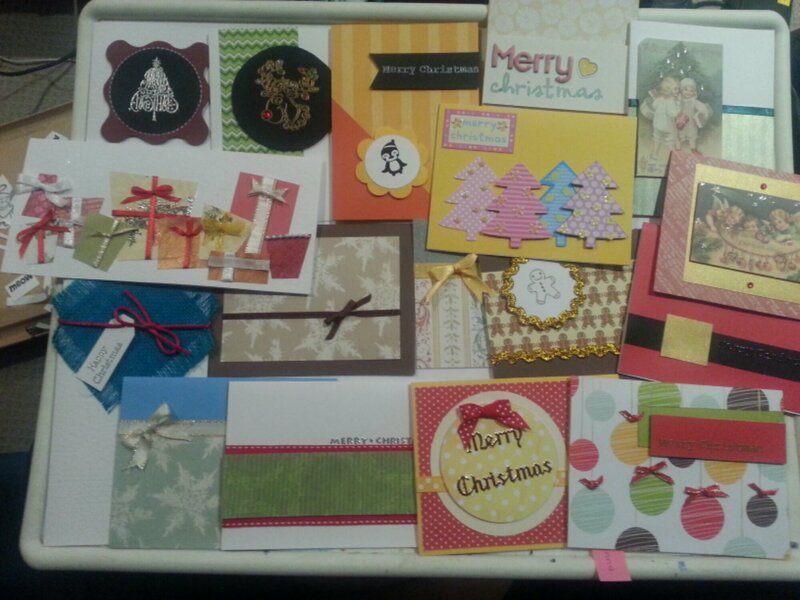 I only bought 3 cutting dies and one embossing folder. I got a dog, flowers and circles. In the dies. Not for real. That would be awkward. I also bought some paper and tiny cupcake stamps and a cute roll of jungle animal washi tape. So you saw my first little project. I then went to lay down, and got caught up in a flurry of cat videos. All of a sudden I thought “I could do a painting with nail polish”. This was sparked by a craft video with the tip of using clear varnish to stick glitter to projects so it dries quickly. I was thinking she could have just used glittery nail polish but eh. 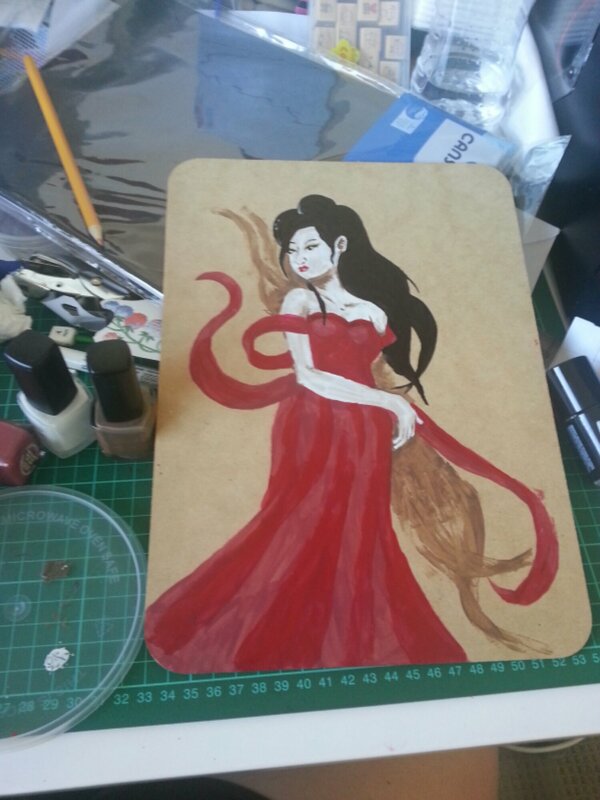 So I went to my craft room, got out a piece of wood and my box of nail polish and began. I didn’t really have a plan, and I knew if I looked up images I’d be caught on the Internet again. Here is my work in progress. I had to stop due to noxious fumes and dinner needing to be cooked. Hope you all have a brilliant Christmas and I’ll see you when I’m creating next. Shouldn’t be too long! How to needle felt! Kinda. Step 1: make sure its a day where you have loads you should be doing. I picked a day with at least 4 other things, and Christmas eve is a good one to choose. Step 2: check your last tetanus date, may need to get it renewed after this. Step 3: put youtube or something distracting on because poking a needle near your hand thousands of times clearly doesnt need that much attention. Step 4: gather materials. Preferrably while the tutorial is playing so you miss important steps. Now, I decided on making a cat. Great and detailed for a first time project. Make sure you get the cheapest materials with a limited colour palette. 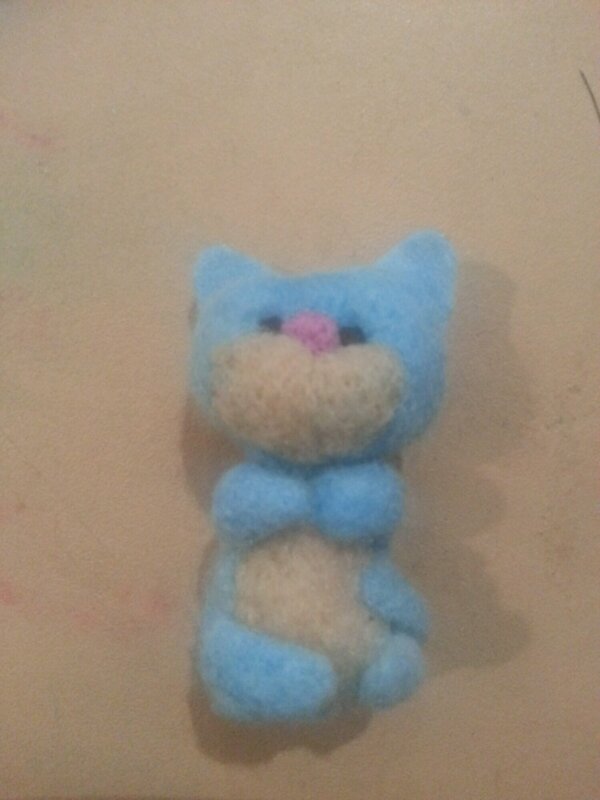 I chose one forcing me to make a blue cat. Step 5: begin stabbing wool and fingers with a slightly rusty needle, since you bought the cheapest one. Make some shapes of varying density. 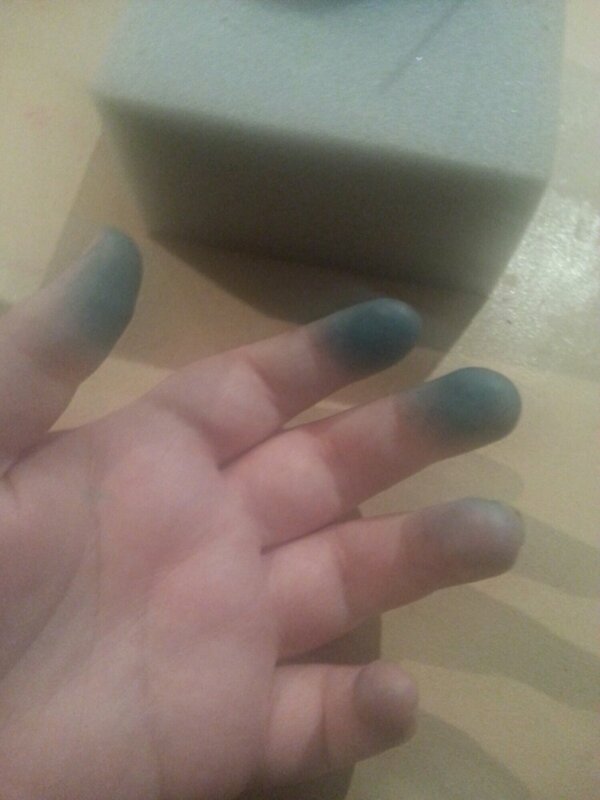 Step 6: accept that your fingers will be forever blue due to bad materials, reminding you that you are a cheap person. Step 7: Get bored and regret picking something this tricky as I first time project. But continue because the pictures were cute. 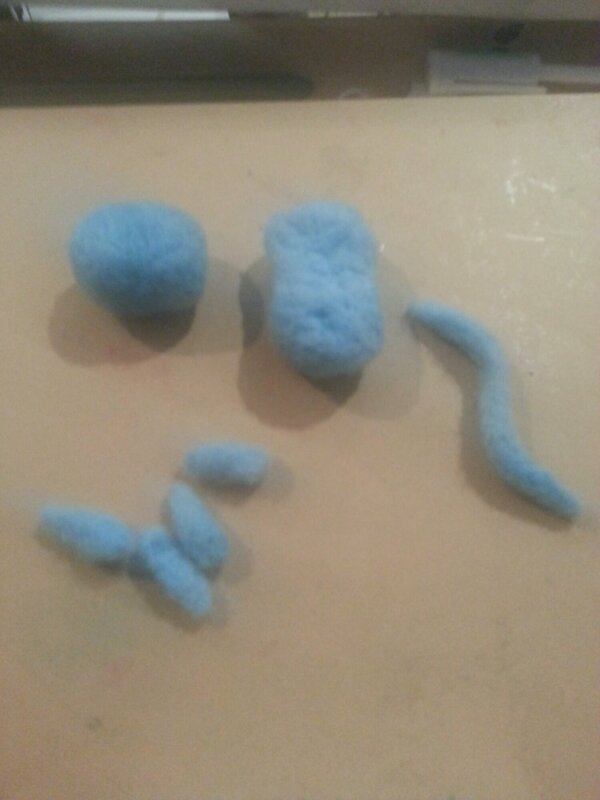 Cut ears out of pre bought felt to save some sanity. Step 8: get angry at poking your fingers so many times- you’re running out of tissue. Step 9: ok, its starting to look cute. May not be a total failure. Poke yourself a few more times. Step 11: and you’re done! He isnt perfect, but I love him. Phew. I need a nap after that. 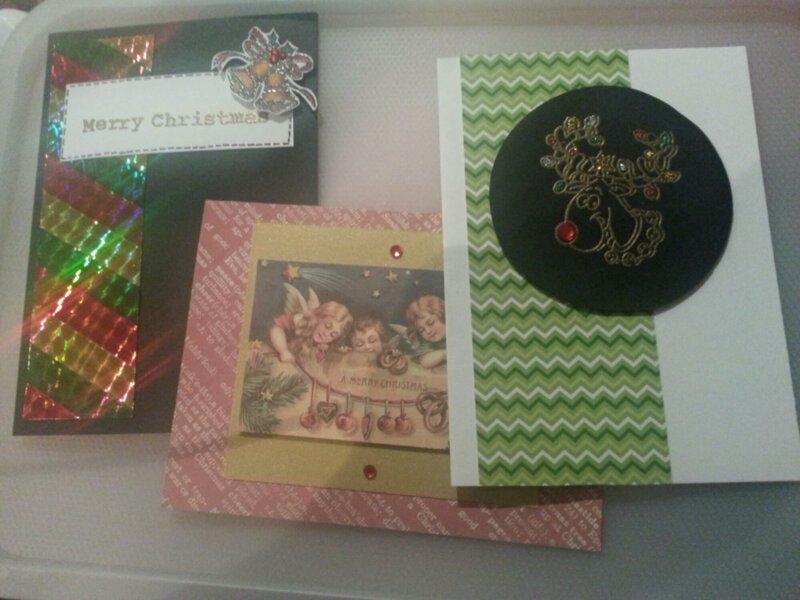 So I did some embossing, gluing, stamping, cutting and writing. 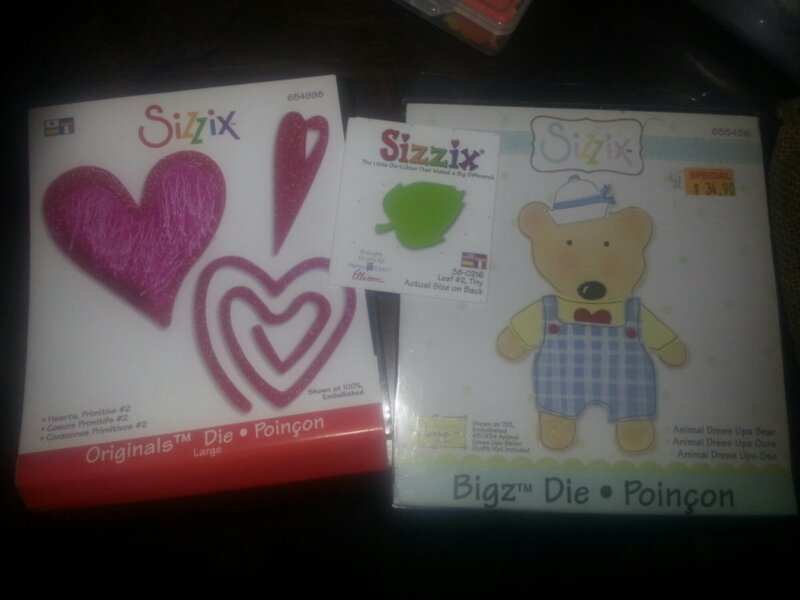 While I was doing this I watched the Frugal Crafter on YouTube. Her name is Linsey and she has some great ideas and tutorials where she draws or crafts or has tips on making something cheaper than it would be bought. She speaks super fast sometimes and has a great energy. Ok. Just about done. Spend a bit of today stamping the backs. 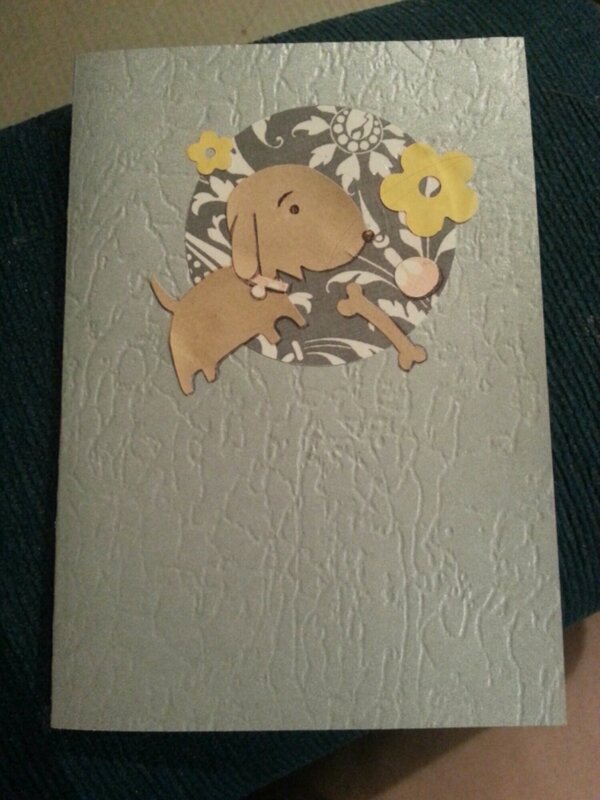 Usually, I’d write on the back, but with this many, I stamped this, as it seemed fitting, and was a bit easier for me. I also figured out I won’t be seeing half the people by Christmas, and its too late to mail, so I didnt have to make a card. Haven’t written in any so thats our next job. Two days left.. eep. Gosh! So close to Christmas now! Not much time left for the cards. I’ll try and photograph them all properly before I give them out. Unless you call melting into the couch art, I didn’t really do much creativeness. I did buy some washi tape though. I keep hearing how good it is and seeing crafters use it for everything and thought I’d give it a go. 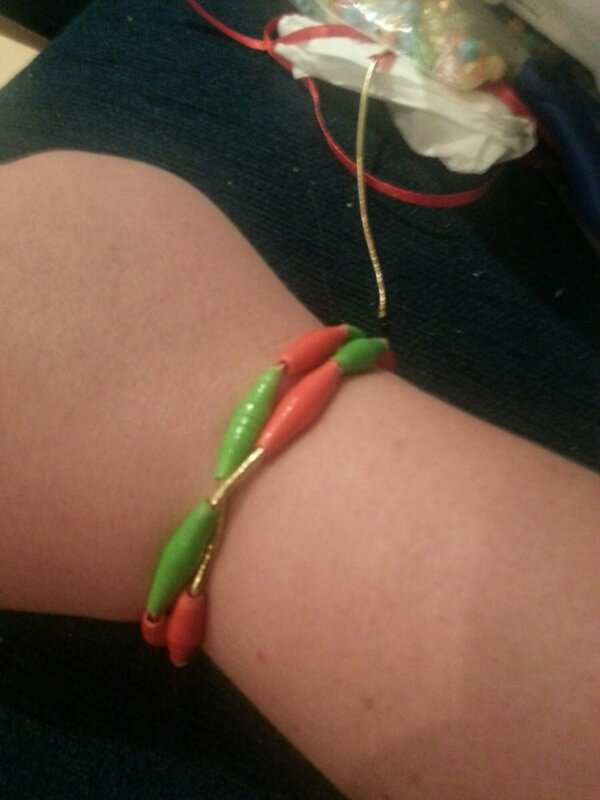 Especially since I was experimenting with Christmas themed tape and had some fun with that. My head and my purse keep telling me I have enough craft supplies for the next 50 years, but my eyes and the craft stores disagree with that. Moar cards! 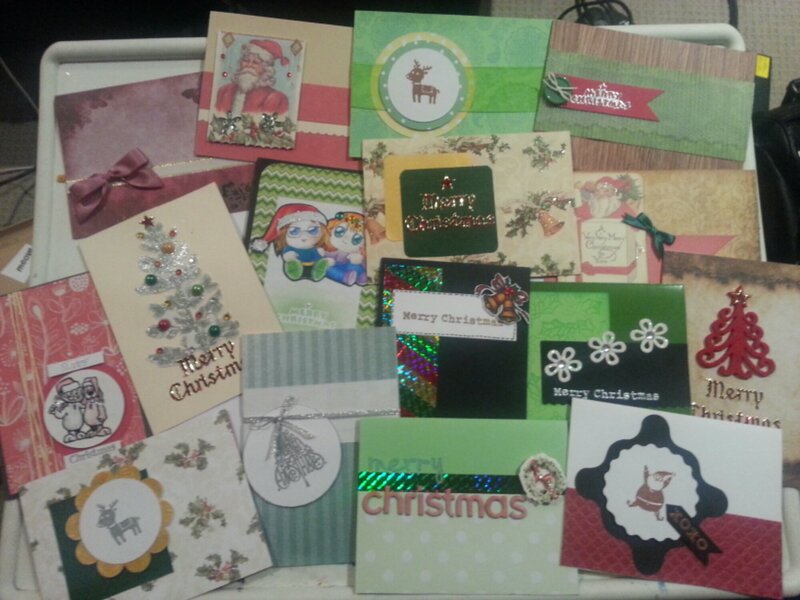 I counted and I think I have about enough cards… just gotta finish them off and we gotta write in them. 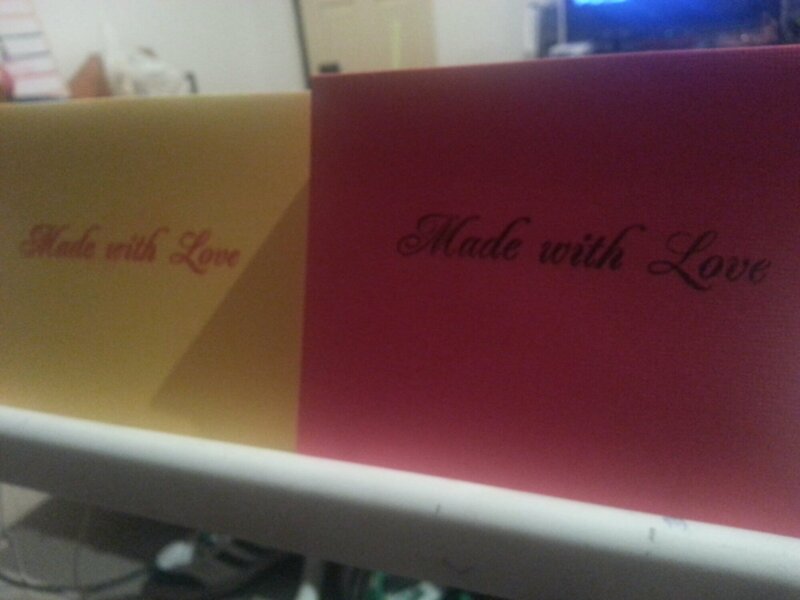 My boyfriend introduced me to writing meaningful messages in all cards. It takes longer, but it does make it a bit more special. Kapow! Yeh. Largeness maybe exentuated by the slightly tight bracelet, which is weird, coz I had to shorten it from the first try on. But I made dis. All the beads are the ones you saw earlier in the blog (or later if the blog does that backwards thing.) Yaaay!